Greetings in the Name of our conquering King, Jesus! 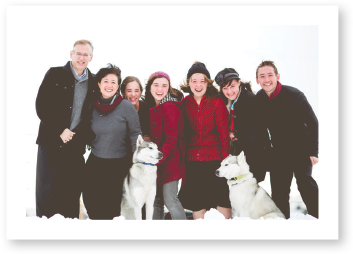 I’d like to ask you to keep our ministry in your prayers and to consider supporting us financially. Here’s why. For the last forty years, Christian pastors and leaders in education have been hoping to see interest in the Christian faith grow. But that’s not what is happening. The recent National Center for Education Statistics (NCES) survey found that only 16% of homeschoolers point to the Christian faith as the primary reason for choosing homeschooling. In fact, interest in Christian education among homeschoolers has dropped by 40% between 2007 and 2016, and Christian schools have experienced a similar decline since the 1990’s. So at the same time as our nation’s public schools are becoming increasingly anti-Christian, American Christian parents are becoming less and less interested in Christian education. With each new year, increasing numbers of Christian families are being drawn away from God-centered education into humanist classical schools and pro-homosexual public institutions for their children. What should we as Christian educators do? Is it time to throw in the towel and just give up? Should we agree to the maxim: “if you can’t fight ’em, join ’em?” Despite the steady growth of darkness and apostasy, we’re looking to the future with hope and excitement. True faith is always tested in the valleys. It’s in the heat of the battle when the battle appears to be going against us, that true faith shines the brightest. While America is turning away from Christ and a Christ-saturated education for children, we want to do just the opposite! Just this fall, we completed our largest publication project yet—a comprehensive 7-unit, 1,000-page survey of American history from a Christian perspective. 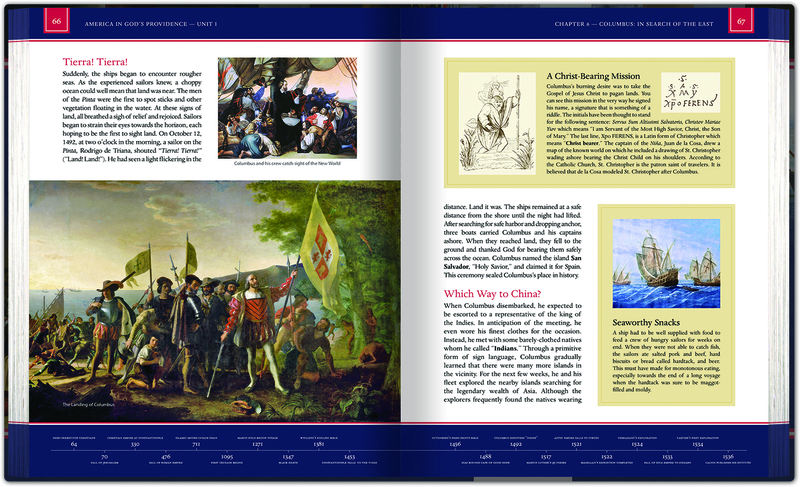 America In God’s Providence covers our nation’s history from 1492 to 2018 over. Within its pages, we have documented God’s blessings on this amazing experiment in liberty and the slow but steady attacks that have arisen to threaten this heritage over the last two centuries. Your children need to hear the whole story of the rise and fall of a Christian republic! America In God’s Providence is unique in that it recognizes God’s hand of providence in every chapter. We’ve included literally thousands of Bible verses that have immediate, relevant application to the American story. We want the Word of God to be as a “frontlet” before the eyes of our children as they sit in the house, as they walk by the way, as they rise up, and as they lie down (Deut. 6:7-9). This beautifully typeset, full-color hardcover is ideal as a coffee-table read-aloud for the entire family or as a high school textbook (accompanied with a 350-page Teacher Guide/Workbook). We also continue to create and air our Generations Radio and The Worldview in 5 Minutes news programs, which are currently being accessed in over ten thousand homes. We are thanking the Lord for how He has blessed our ministries tremendously during the last twelve months. We have seen a 250% increase in interest in our materials, and nearly 40,000 people have accessed our online Homeschool Summits this year alone! 2018 provided exciting new opportunities for us at Generations. Through God’s mercy, our ministry is more active than ever in nations around the world. The Generations team traveled to three African nations this year, bringing a message of family discipleship and Christian education to families in Malawi, Zambia, and Uganda. At a Teaching College in Livingstone, Zambia I had the privilege to speak on Christian education and the dangers of secularism creeping into Africa from the West. I spoke on the same topic to government leaders of Uganda as well. We also conducted Christian homeschool seminars and family discipleship conferences in Uganda and Malawi. These are critical times for Africa. Western influences are working hard to destroy the faith and the family in Third World nations (as well as our own). The people of Africa need a strong Biblical answer to the false ideologies attacking them. Sadly, the Christian church has been extremely ineffective and deficient in combating the dangerous worldviews and ideas emanating from godless universities in America and all over the world. 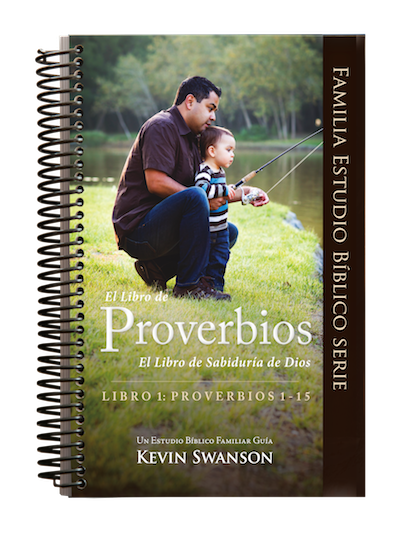 2018 also saw the publication of an eagerly anticipated new resource: the Proverbs Family Bible Study Guide series in Spanish. We’ve invested about $20,000 into translating and making this material available to a Latin American audience and are excited at the enthusiastic response it is receiving at Mexican homeschool conferences. To make a donation to the Generations, go to Generations.org/Give. We are thankful for every person who has chosen to stand with us financially or prayerfully, and we’d love to meet each and every one of you! We’re delighted to offer the gift of hospitality to anyone who may be traveling through our area. If you find yourself passing through our neighborhood, come stay with us, enjoy a meal, and spend some time in fellowship. Just email me at host@generations.org. May God’s grace and peace be yours both now and in the coming year! P.S. 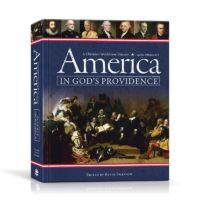 As our way of saying thank you to our donors, we’re currently offering a free copy of America In God’s Providence for all donations of $200 or more received by December 31. Generations is a 501(c)(3) ministry. All donations are tax-deductible. Click here to make a donation. Will the Christian Home School and Christian School Disappear?